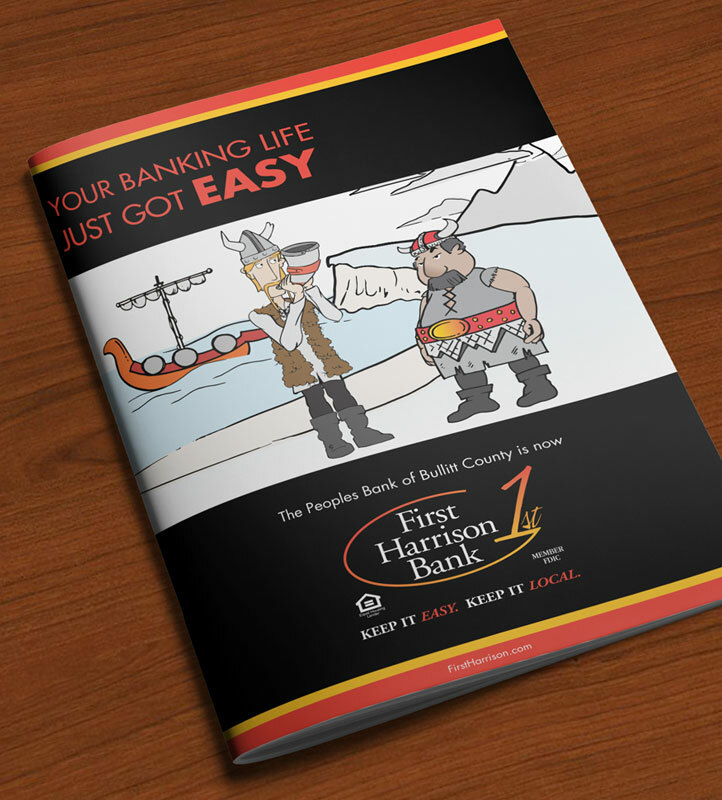 In operation for over 125 years, First Harrison Bank is a community bank serving Southern Indiana and Bullitt Co., KY.  The hometown bank wanted to make banking more convenient for their customers and promote a new mobile banking app. 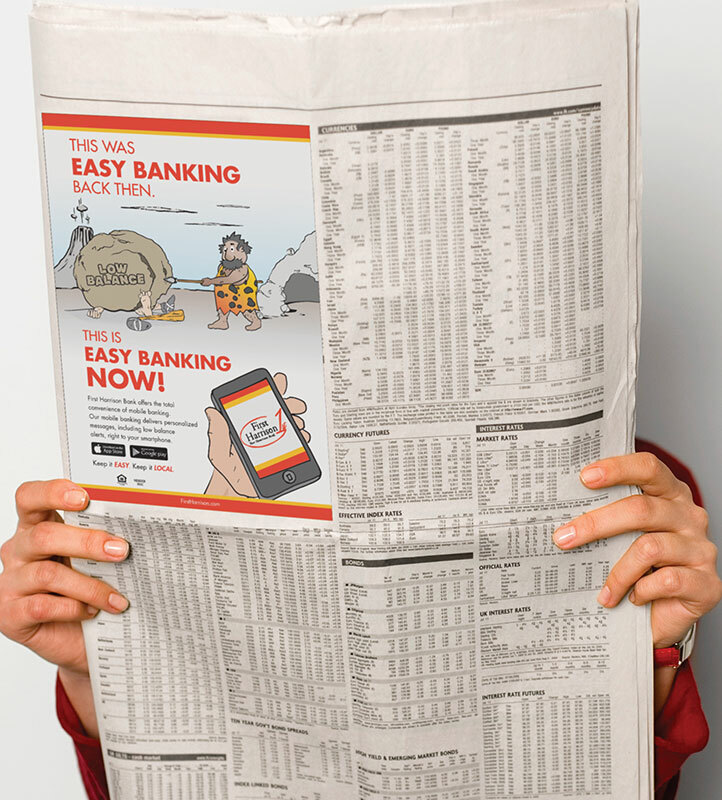 With the prevalence of smartphones, apps and the mobile web, the way people bank has changed. 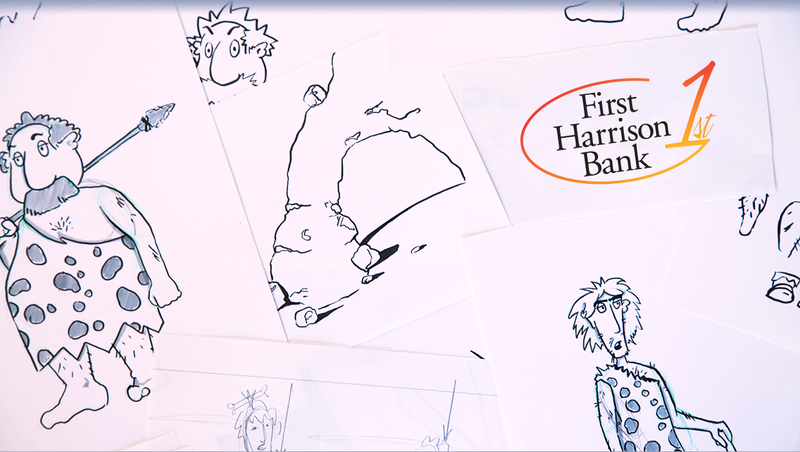 To unveil First Harrison Bank’s new mobile capabilities, we hyperbolized and parodied the “evolution” of banking by featuring cartoon versions of ancient man juxtaposed with the ease of online mobile banking. 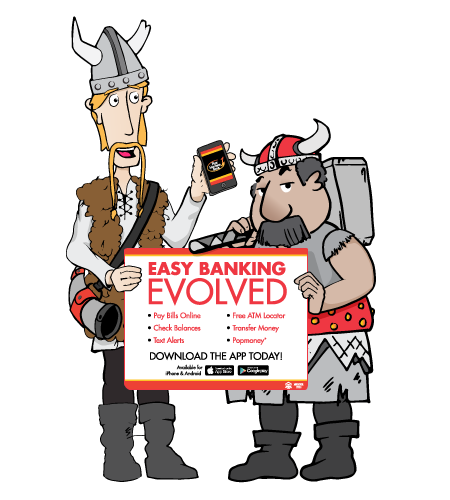 Our commercial campaign introduced the characters used throughout all marketing materials that promoted the banking app. 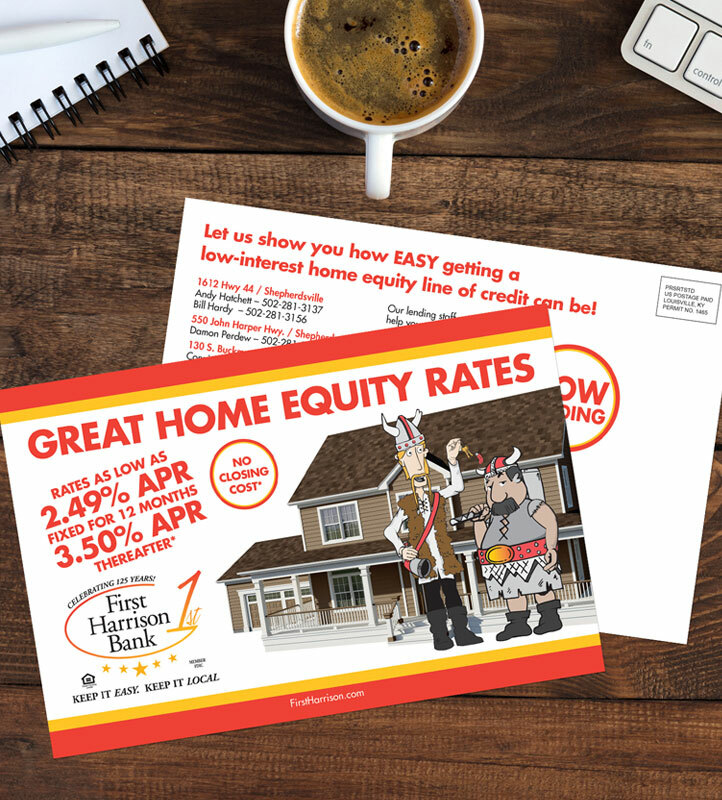 Print materials extended the Evolution of Banking campaign by prominently featuring the ancient man characters utilized on television in direct mail, newsprint and branded elements.